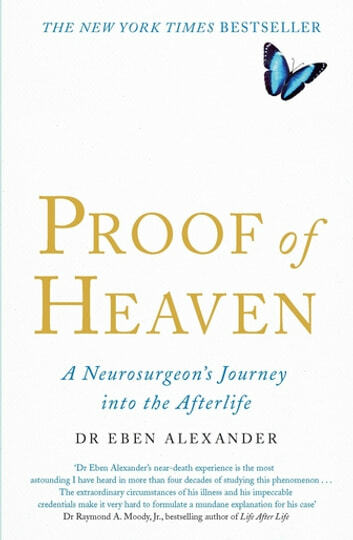 Internationally acclaimed neurosurgeon Dr Eben Alexander always considered himself a man of science. His unwavering belief in evidence-based medicine fuelled a career in the top medical institutions of the world. But all this was set to change. One morning in 2008 he fell into a coma after suffering a rare form of bacterial meningitis. Scans of his brain revealed massive damage. Death was deemed the most likely outcome. As his family prepared themselves for the worst, something miraculous happened. Dr Alexander's brain went from near total inactivity to awakening. He made a full recovery but he was never the same. He woke certain of the infinite reach of the soul, he was certain of a life beyond death. In this astonishing book, Dr Alexander shares his experience, pieced together from the notes he made as soon as he was able to write again. Unlike other accounts of near-death experiences, he is able to explain in depth why his brain was incapable of fabricating the journey he experienced. His story is one of profound beauty and inspiration. This book is much less convincing than many I have read on the topic.